These different jobs ensure that companies obey regulations, comply with laws, follow policies and contractual obligations, meet eligibility requirements for licenses and permits, and more. They also help train employees on requirements that must be met and assist with regulatory processes. Compliance officers often work for specific businesses or organizations and are tasked with making sure the work being done meets legal, ethical, and even quality standards. This can range from making sure safety measures meet relevant standards to making sure financial documents are prepared properly and submitted on time. A significant part of the job might involve reviewing documents, work practices, and completed work and identifying areas where changes might be necessary. Compliance officers typically will consult with management on findings and play a lead role in updating training practices or manuals for employees. Some compliance officers may work as consultants who are brought in to review a particular organization's practices, and some may work for regulatory agencies tasked with enforcing standards within a particular industry. Pay can vary greatly for this career depending on the specific industry. Government jobs at the federal level typically pay more than those at the state and local levels. In the private sector, the highest paying jobs tend to be in the regulation of financial investments and oil and gas pipelines. There's no single path to becoming a compliance officer, but it is not an entry-level position. Regardless of industry, those seeking to become compliance officers first need to establish themselves in a particular field in order to have the skills and knowledge necessary to serve as a compliance officer. Education: A bachelor's degree is likely to be the minimum requirement for any position leading to a job as a compliance officer. Advanced degrees will be preferable or even required in many industries. In terms of coursework, classes in ethics are universally applicable. For example, a law degree or a master's degree in business administration might be expected in certain fields. Experience: Compliance officers typically need to be experts in their fields. Most people will advance to a position as a compliance officer after showing exceptional competence in one's field and a specific aptitude for attention to detail. In addition to being highly knowledgable and experienced in a relevant industry, there are several qualities compliance officers typically need to possess. Critical Thinking and Problem Solving: Compliance officers need to be able to recognize and evaluate problems, then identify potential solutions. Reading Comprehension: Many documents cross your desk of compliance officers, especially if their jobs are specific to making sure paperwork is filed properly and on time. These documents will need to be understood thoroughly. Detail-oriented: The differences between compliance and noncompliance often can be minuscule, but compliance officers need to be able to recognize the differences and help others to understand the significance. Leadership: Being effective as a compliance officer often involves helping management find new ways to be profitable while still maintaining standards that must be met for legal or commercial reasons. High ethical standards: Those with a strong sense of what is right and what is wrong often are drawn to careers as compliance officers. The U.S. Bureau of Labor Statistics does not provide projections for the broad category of compliance officers, but for financial examiners, a specific type of compliance officer. For them, it projects job growth of about 10 percent for the decade ending in 2026. For financial examiners working specifically in the finance and insurance industries, the job growth is projected to be slightly better at 11 percent. This is better than the 7 percent growth projected for all occupations. In 2014, the Wall Street Journal described the job of compliance officer as the hottest in the United States due to an increasing need for industries such as banking to comply with federal regulations. The BLS report on financial examiners also attributes the growth to increased regulation in banking and other similar industries. The environment can range from typical office settings to being out in the field inspecting anything from roads to construction sites to pipelines, and more. Compliance officers typically work with a firm's management to ensure regulations are being followed. 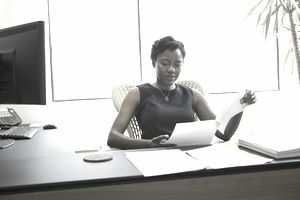 The job sometimes involves stress when failing to maintain certain standards can result in government fines or other forms of financial loss. Additionally, employees might sometimes view compliance officers negatively, as someone looking over their shoulders, policing their work. Because of the broad range of types of compliance officer jobs, work schedules can vary. Most jobs follow a standard business week, but the demands of some jobs might require more than 40 hours per week in some instances. Those with a strong sense of ethics have a good foundation for a career as a compliance officer. A bachelor's degree and often more in a relevant field typically is necessary for this career. Compliance officers typically are experts in their fields with considerable knowledge and experience.